Okay, we’re fooling with you. But seriously, July is Anti-Boredom Month. 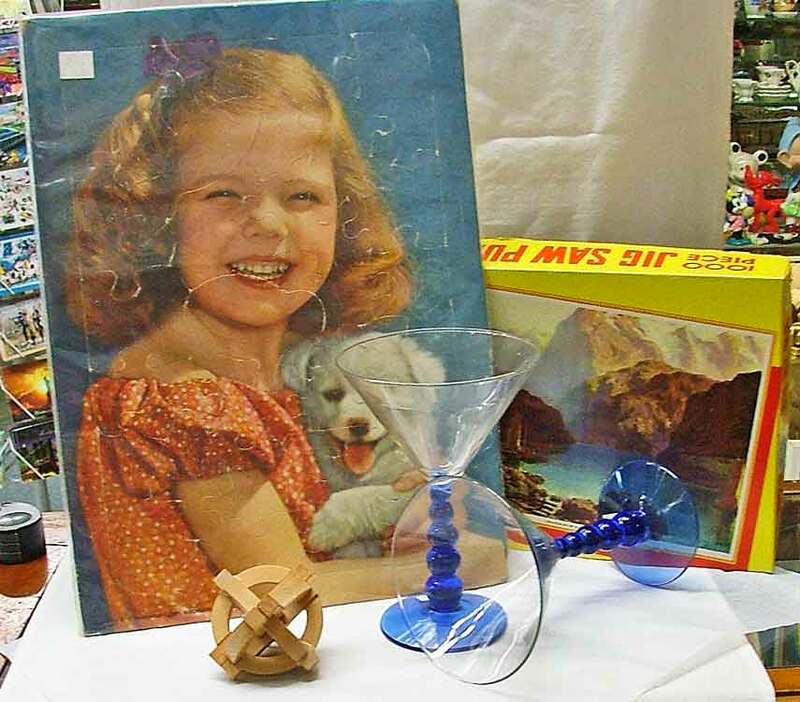 To help you with that boredom, we have some fun puzzles that include a wonderful frame puzzle for the younger set, and a 1,000 piece Big Ben puzzle. And for those who really like to s-t-r-e-t-c-h their brains, we have a number of intriguing and challenging wood puzzles. Wondering about those Daiquiri Glasses? Well, it’s Daiquiri Day on July 19th! So if you’re still bored on Tuesday, maybe you’ll want to fill one of those Daiquiri Glasses and salute ‘life’ once again! Here’s to getting out of the doldrums! Remember, summer will be gone before you know it. So, get up and get moving. Head to Bahoukas Antique Mall and Beer MuZeum. We’ll be watchin’ for ya!